There are four realms (worlds) of existence within which the Tree of Life is contained. Each world emanates one to the other; from the highest and most refined energy at the place of Atziluth to the densest realm in Assiah. The Four Worlds describe the creative process and each has a section of the Tree contained within its individual realms. Concurrently, as in all viable esoteric systems, the entirety of the Tree itself is also contained simultaneously within each of the worlds. Thus, each sphere exists in All Four Worlds. The Soul/or Higher SELF is expressed here. The Archangels reside in this world. This is the realm of Ideas of the highest order. This is the Idea of the manifest world before it is actually brought into being. This is also the world through which the initial study of Qabalah is often begun. Briatic colors are the standard designation for the spheres and it is through this world that clarity and greater communication between man and the Higher Self are realized and acted upon. The Mental Plane. This is the stuff of the Astral and as such is the world of formation. The place of the collective unconscious and Anima Mundi (world soul). This is the realm where specific forms are created. The Angels of the Qabalah reside here. The Physical World. Planetary and Elemental energies are assigned at this level. This is the world in which we feel most comfortable and can identify with the energies most clearly, although we probably know the least about the hidden nature of this world in terms of actual working knowledge. This is the place of knowing “oneself”. These are some correspondences that will add another layer of understanding to the Qabalistic spheres. and, the 10 sphere of Malkuth? In Hebrew, the word Yesod means “foundation” and the “sod” portion alone means “mystery”. This should give clue as to the energies of the qabalistic sphere of Yesod. It is the stuff of dreams, fantasies, memory and the dwelling place of the mysteries of true magick. This sphere holds the key to the unknown and the unknowable. Just as matter itself resides in Malkuth, the focus and energy that make it “living matter” is contained within the essence of Yesod. As we descend from the higher spheres and move through the varied energies of each of the preceding we come to rest in Yesod, the beginning phase of creation of a thoughtform, the storehouse of images only, without the benefit of the life energy needed before these images can move into a state of manifestation in Malkuth. Yesod is known as the ” Treasure House of Symbols”. It is here that the Akashic records which contain the memory and experiences of every living being are held within the substance of aether (spirit) . This attribute alone can give rise to illusion, false conceptions and a deluded sense of Soul’s purpose. It is a world of shadow and illusion, of being held in a state of “in-between”. It is higher than the physical plane of Malkuth- yet lower than the Divine/spiritual plane, which would provide the necessary discernment to determine that which is illusion and that which is reality. By virtue of this state of mediator and filter the natural access to the Astral that is the function of Yesod provides also the necessary accumulation of symbols and images that can be classified, processed, filtered and assimilated to allow movement to the higher realms coming from the place of the concrete manifest energy of Malkuth. Yesod is the place of allegory and allusion to things of a higher nature. Because the information is often muddled or distorted (as in the fun house mirror) it becomes necessary to strengthen the emotion of Trust. Trusting that what is being shown is the truth, and trusting that you will be able to learn the appropriate lesson of the allegory. Moves boldly and sure footed. 1. The ability to produce offspring, especially in large numbers. 2. The ability to produce many different and original ideas. This energy is beyond simply being fertile. In Malkuth we were matter incarnate. In Yesod we become matter quickened by greater substance and spirit. We become the replication of all parts of self; each having the ability for quickening and enlivening; and thus become co-creators. Within the sphere of Malkuth…..
You might ask what’s with the name? The herb Thyme is a member of the mint family and as such is a very prolific plant. Additionally, there are hundreds of species of Thyme. Thyme has been known since ancient times for its magical, culinary, and medicinal virtues. And its shrub like build offers shade and home to a variety of animal life. Tradition held that an infusion of thyme taken as a tea on midsummer’s eve would enable one to see the fairies dancing. What correspondences would you give based on your knowledge of the astral and dream world? Another Leaf on the Vine…. …Awareness of our physical self and the physical plane leads to a quest to know that which is beyond. Knowledge of Self is the first step towards Gnosis. ..From the mass of information which has been obtained by the parapsychologists, one definite fact has emerged; somewhere in the mental make-up of the individual there is a ‘dormer window”, looking out upon perilous seas and fairy lands , as well as upon scenes of glory and light. The question which now arises in the minds of some parapsychologists is whether these talents belong to the past or the future of the race. Are they the remnants of a primitive faculty which was superseded by the use of more dependable means of communication by the spoken word or are they faculties which are latent in all and are now gradually evolved into active use? Yesod holds the potential of all that we wish, dream and desire to manifest in our lives. We look out at a star-filled velvety black night and wish upon a star….. Towards the heart of the Mother. The sphere of Malkuth is both in the place of downpour from the realms of higher and more refined energy as well as the place of beginning towards ascension from the grosser, denser form of matter towards a more refined, evolved state of being. This is the sphere of the Elements (earth, air, fire and water) from which all things are formed and is, quite literally, the place of physical manifestation of the creative life force that has emanated down from the spheres above. This is the World of Matter, which is our home during this physical incarnation. Because it is familiar, concrete and ever present there is often the tendency towards not fully recognizing and understanding its subtle qualities and energies. It is similar to the comfortable relationship in which you don’t always notice the person in as much detail or with as much appreciation as initially because you now assume you know everything there is to know. Feminine body of the sacred Divine. Living breath and silent decay of return. 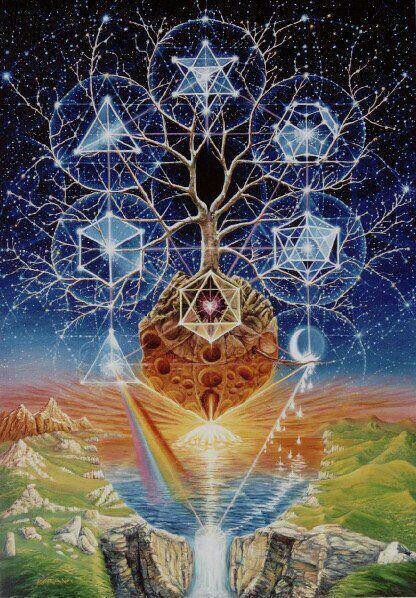 Malkuth embodies the elements at both their alchemical and scientific levels. Earth-Air-Fire and Water are all components in the pure essence of a sphere whose soul directive is one of receipt of the “stuff” that will ensure manifest form. All life held within the planetary energy of Earth and the correspondence of Malkuthian energy is subject to the law of potentiality that guides Malkuth’s purpose. Embodied in a vessel of form. We are the Royals of Malkuth. We are the stewards of its planetary energy, Earth, our home and we are its most prized creation of matter and manifest form. Malkuth is the experience of being fully present in physical form, of connecting with all that makes us truly human and using that as the foundation upon which we rise on the planes to reach our higher consciousness by coming to “know thyself”; and then transferring that knowing into experiencing everything else that comprises this physical world. Holds the Kingdom close to her breast. The sphere just above Malkuth, is Yesod. Yesod carries the energy of filter,dreams and the astral. And, the Great Mother Moon is its ruler. The Moon shines down and the tides of Earth move in anticipation of her gaze. This movement is not so different from that of labor and the necessary tides of contraction to bring life into the sphere of Malkuth. What correspondences would you give based on your knowledge of the physical world and the Greater Earth? Malkuth is the expression of the Goddess, Gaia-Mother of Earth’s creation and the living body upon which we make our home..
Manifest being weaving a dance of life. Throat gives way to tone of vibration. Welcome to Qabalistic Journeys! Many years ago I wrote an online course entitled A Year Within the Tree of Life. I revamped my website and that course was archived and used later a the basis for my books, Poetry of the Spheres and Awakening the Paths. As a result of the books and extensive teaching that I do about the Hermetic Qabalah, I have received several requests lately for a return of those online studies. So, here we go with a blog dedicated specifically to that! I’ll be posting every couple of weeks and offering a variety of information that includes theory, practical application, meditations, new ways of working with this multi-faceted discipline and more. This is a journey that will enrich every aspect of your life and the new paths created from those first steps of intention to bring this Tree to life within are those that will take root as you aspire to growing your spiritual practice. Blessings on this new journey…..